Fashion Forward Friday [V.1] : What’s In My Bag? I see a lot of YouTubers do the oh so common, ‘What’s In My Bag’ tag so I decided to start of my Fashion Forward Friday series with the tag. I can’t take full credit for the name. I got it from one of my FAVORITE YouTubers, TheSocialiteLife. 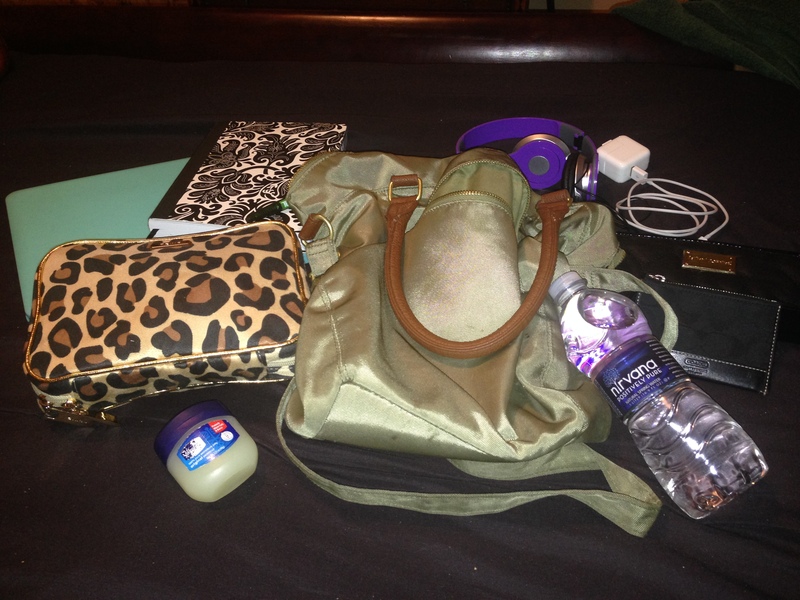 So here’s a look at what’s in my bag. 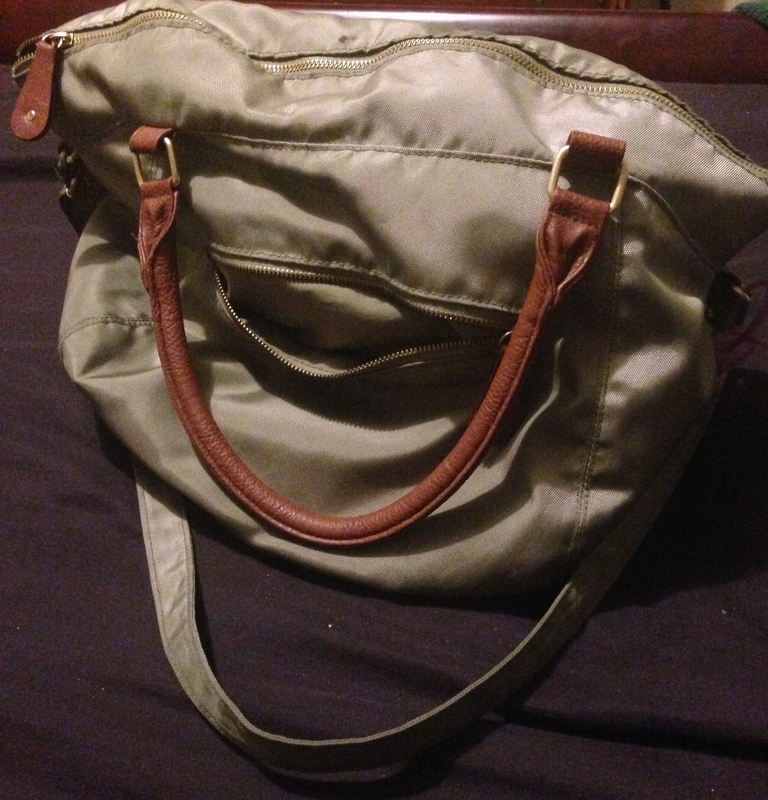 My bag is from Old Navy and I got it last winter. I couldn’t find the exact style I have online, but here’s a similar style. Now let’s get into what’s inside. For starters I always have my water bottle. I’m not too particular on the ‘brand’ of water, just as long as it’s not Nestle. I also ALWAYS keep vaseline in my front zipper pocket for easier access. 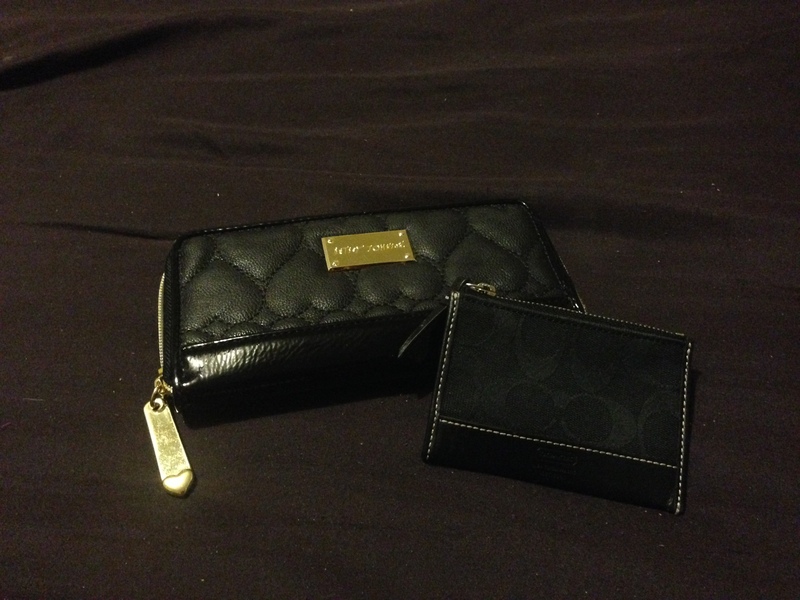 Next up is my wallet and coin purse (apologies if image is too dark). 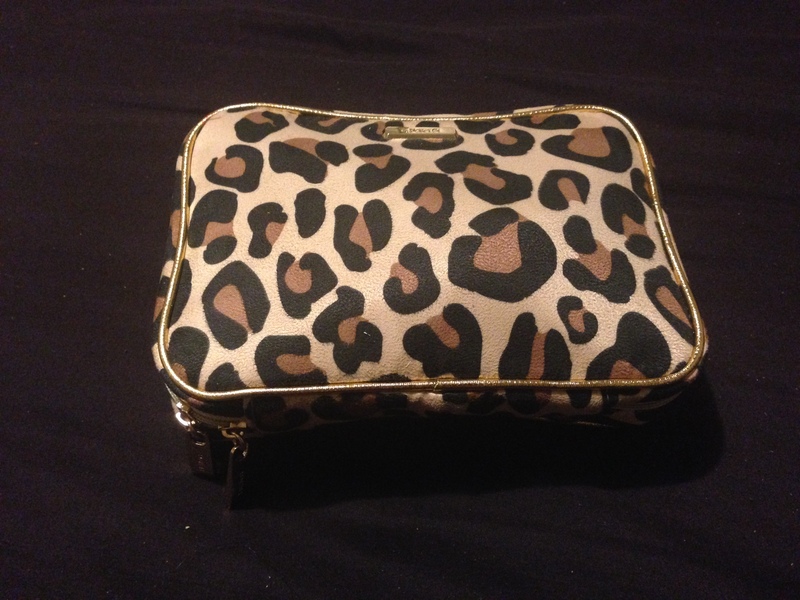 My wallet is from Ebay and is Betsy Johnson and my coin purse was a gift and is fro Coach. 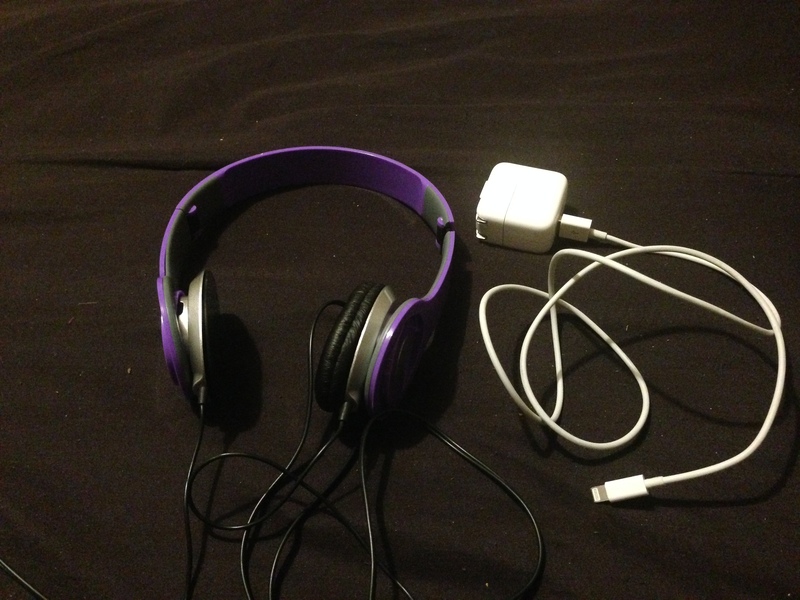 I always have some type of headphones and a charger (usually to both my iPad & phone). My headphones are from 5 below. YES, 5 BELOW! I don’t feel the need to spend a lot on headphones. I must say that these pump out a lot of sound, especially bass and this is my first new pair in a year. My ‘makeup’ bag really doesn’t contain much makeup. I commute to work and if my friends want to go out after I usually have a few more lip colors in here. I have makeup, I just don’t wear it. I’m more of a lipstick hoarder. My bag was a Christmas gift and I’m in love. I keep a travel size lotion and body spray in ‘Beautiful Day‘, my ‘monthly goodies’ in the leopard pouch and in the clear pouch, right now, all I have is a lipstick (Revlon Lip Butter – Fig Jam), silver hoop earrings, and my Sephora light up mirror. 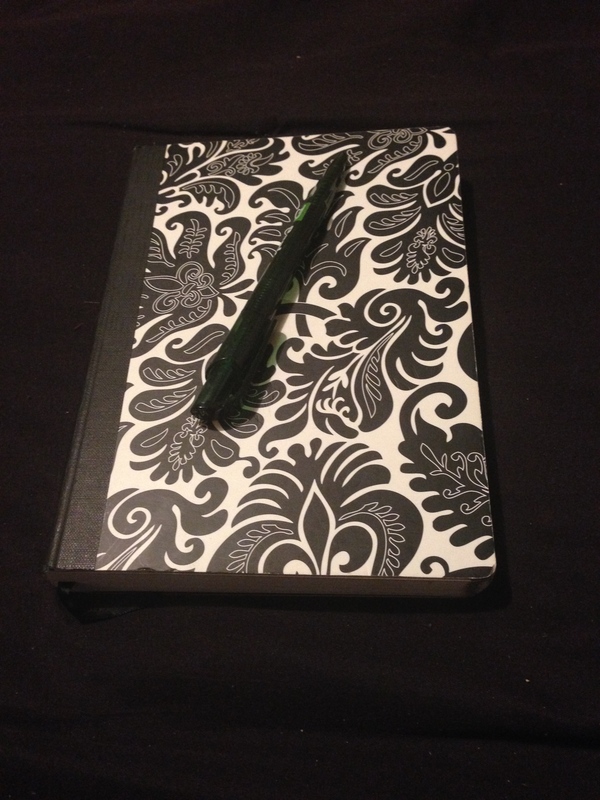 I carry this journal around to track down my ‘happy thoughts’ which I use for my Motivational Monday series. I love to have a pen and paper with me at all times and this book has been a lifesaver and I can’t wait to share more of my thoughts with you. 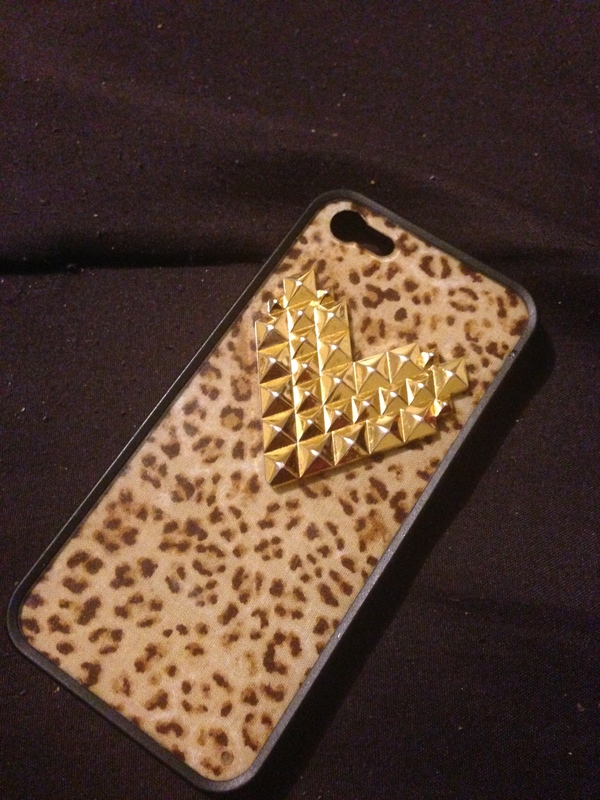 I keep my phone in the front zipper pouch as well and I have an iPhone 5 with a WildFlower case, Leopard Gold Studded.Yes these cases are expensive, $35 a pop, but the quality is AMAZING and I do recommend if you want a little splurge. 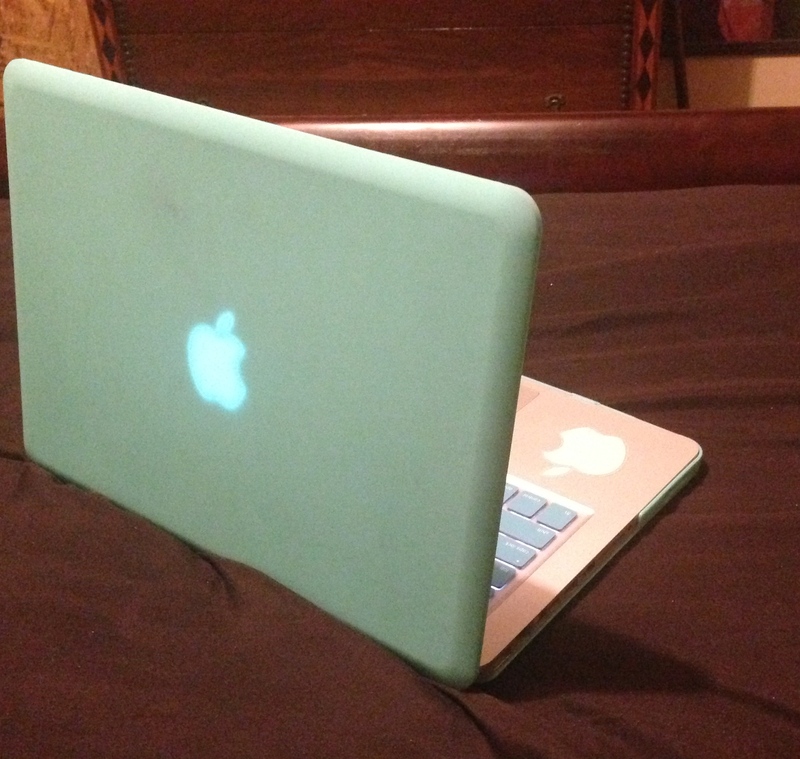 Last but not least is my most prized possession, and a huge investment, my 13-inch Macbook Pro. This was a graduation gift to myself this past Spring and I could not be happier. Although I mentioned I have an iPad, I interchange between the two on which I lug around at the moment. My case is from Amazon if anyones interested. Well, I hope you enjoyed! Leave comments on what’s your bag essentials.